In the mid 1950s, AT&T decided to open a Western Electric manufacturing facility in the midwest, to be staffed by a combination of local hires and relocated employees from its New York and Hawthorne Works facilities. Columbus, Ohio, was chosen as the site of the new satellite plant. "Columbus Works" commenced operation in 1957 and quickly became the primary manufacturing site for crossbar switches. In keeping with the corporate practice of the day, a parallel Bell Laboratories branch was also established at the facility. Located on the far east side of Columbus at 6200 East Broad Street, the plant consisted of a frontal four-story office building and an 858 thousand square foot manufacturing facility located directly behind it. The front building predominantly housed the Bell Labs contingent, whose R&D jobs evolved more and more towards software development, eventually coming to have little to do with what was produced in the plant. As the evolution of electronic switching supplanted the demand for crossbar, the manufacturing side of Columbus Works was redirected towards producing boards for 4ESS switches and wireless cell sites, along with several complete wireless components, most notably AirLoop. At its zenith, the plant contained two full-service dining facilities, a library, and a medical center. It was served by a local rail spur as well as several trucking lines. Over 12,000 workers, including 1,000 who worked for Bell Labs, were employed in three shifts operating around the clock. Non-management employees were represented by three unions. In 1996, with the spin-off of Lucent Technologies, Columbus Works became a Lucent facility. Then, in 2003, it was sold to Celestica. In 2006, Lucent bought the facility back from Celestica and parted it out: The front office space became an administrative and billing center for Mt. Carmel Health. The acreage behind the plant, where the CRES-ARC once set up its Field Day station each summer, was sold to a private developer who turned it into a community of small homes. The broad lawn in front of the plant became a series of strip malls and small stores. The manufacturing facility remained largely vacant until it was razed in 2014, although in the interim portions of it were rented out to several smaller concerns, which for a while including the remaining local Bell labs contingency. However, in the Fall of 2011, the now Alcatel-Lucent completed a move of their offices and laboratories to a new facility in Dublin, Ohio, thus ending the Bell System era for 6200 East Broad Street, 54 years after it began. The CRES Amateur Radio and Electronics Club was founded in 1962 and was open to all employees of the plant. The term "CRES" was a prefix that Columbus Works assigned to all employee clubs, standing for Civic, Recreational, Educational, and Social. The club's original president, Woody DeByle/K8RFA, was one of the Western employees instrumental in initiating the CQ-WE contest two years earlier. The club was issued the call WA8JVV in the fall of 1963. In 1966, the club requested and received permission to change its call to W8ZPF to honor the call's previous owner, deceased club member Ralph Woodburn. The "Electronics" part of the club slowly atrophied, and by the mid 1970s the club was known simply as the CRES Amateur Radio Club, or CRES-ARC. In 1977, the CRES-ARC became an ARRL affiliated club. The management of Columbus Works was always supportive of the CRES-ARC. They provided a room for use as a ham shack, along with generous financial support, allowing the club to purchase a repeater and buy quality equipment for its shack. For a while, we had the only repeater in the Columbus area equipped with emergency power. Western management granted permission for the club to erect two towers on the roof of the plant, one for the repeater and the other for the ham shack antennas. 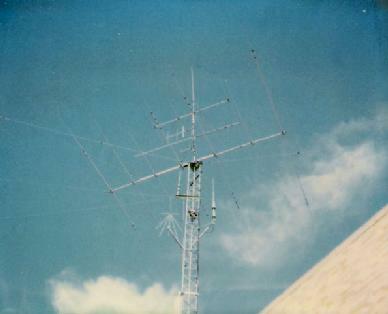 In addition to the repeater controller, the ham shack eventually contained two complete HF operating positions, a VHF/UHF station, and an always-on automated packet station. The CRES-ARC has always been an active organization. The club has participated in the annual ARRL Field Day event every year since the 1960s. CRES-ARC members have represented the "CB" location on each CQ-WE weekend since the contest's inception, and served as the contest's host location five times. When the FCC announced that the giving of ham radio exams would be outsourced to the ham community itself, the club set up a Volunteer Examiner team. The first CRES-ARC VE exam session was held Saturday, December 15th, 1984, and the club has been holding VE exams regularly ever since. For many years, the club published its own monthly newsletter, the Spectrum News, and repaired radios for the Radio Reading Service for the Blind. Today, the CRES-ARC is a general purpose ham radio club open to all interested amateurs. We hold bi-monthly meetings with presentations on a diverse range of subjects of interest to our members. 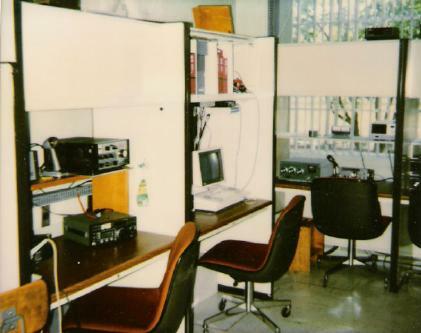 We still maintain the W8ZPF Repeater, 146.07/146.67 Mhz (PL 131.8 Hz), which remains at its original site in the old Western front office building, although the building is now owned by Mt. Carmel Health. On Sunday evenings, at 9 PM local time, we hold a weekly club net on the repeater, and all hams are invited to check in and participate. For the past several years, we have operated in the Ohio State Parks on the Air contest in June, which we combine with an annual club picnic. We also host a CRES-ARC club web site for the benefit of our members and local hams.